Back from the Berliner Fahrrad Schau, what a great weekend it was. 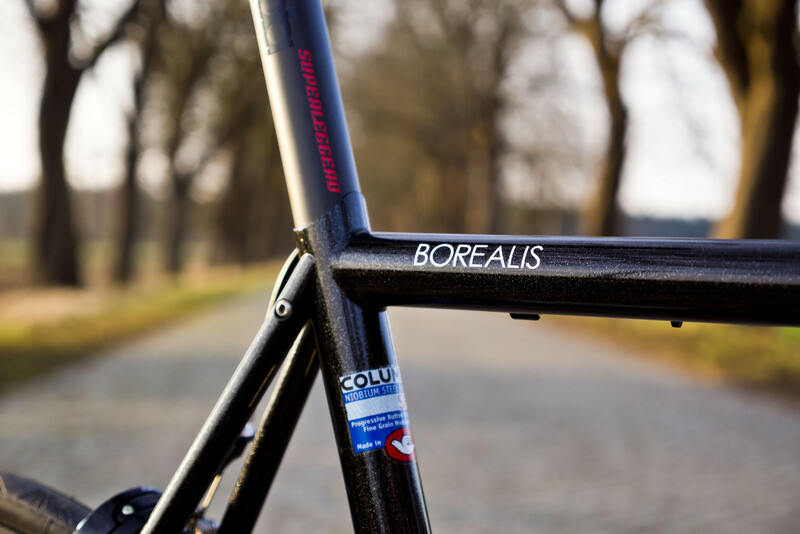 At this years Fahrrad Schau the AURORA „Borealis HSS“ steel road frameset was released and shown to public the first time. A lot visitors noticed this understated but well equiped bike and most of them could not believe that the frame is made of steel. Well, yes it’s time for steel. 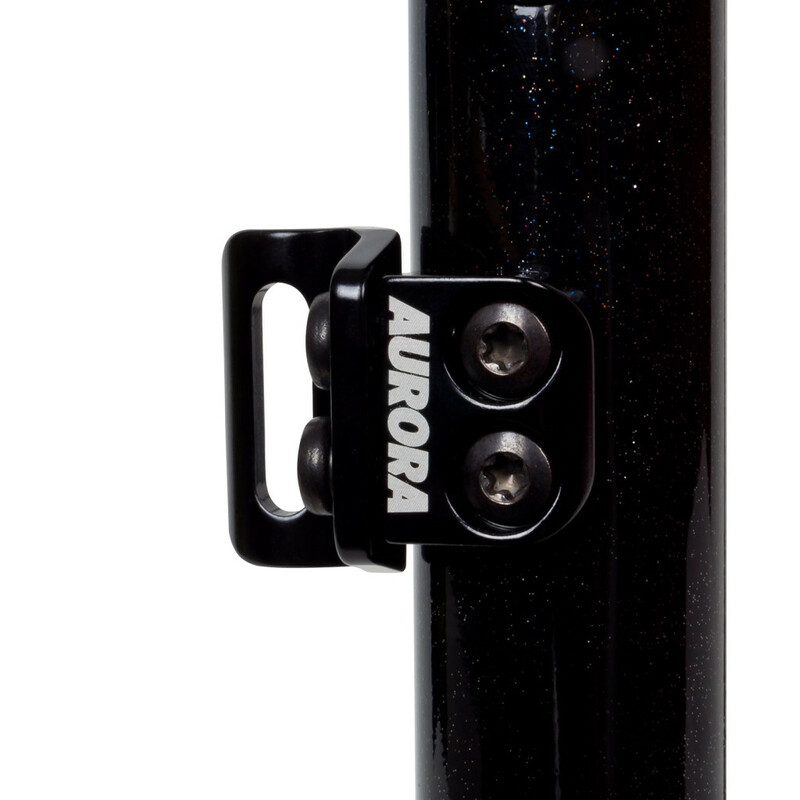 Steel is real and so is our AURORA “Borealis HSS”. It’s made of the finest Italien steel available. The newest generation of super light high-end alloy. 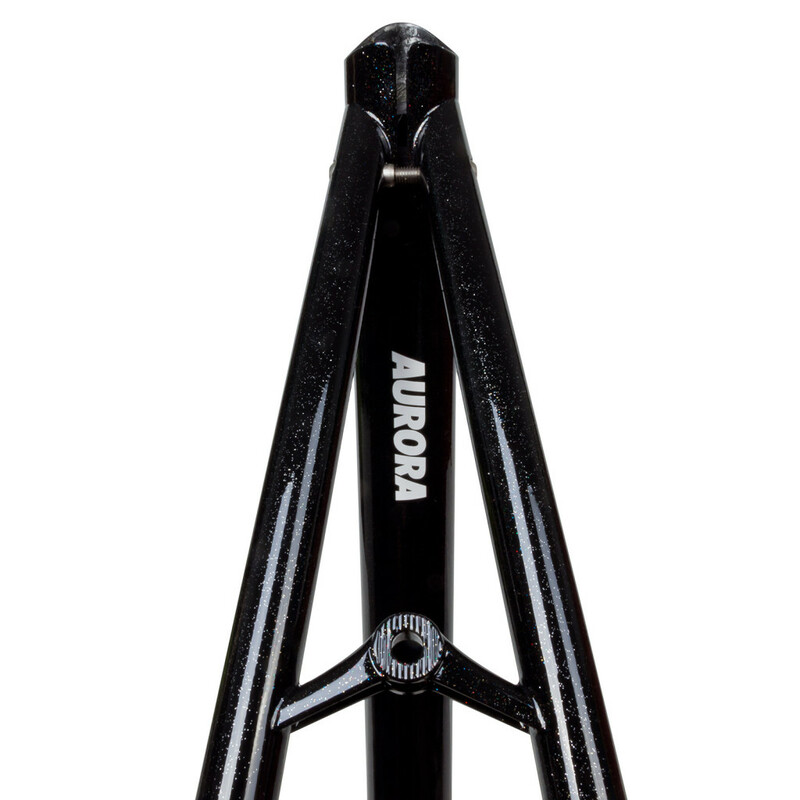 The AURORA “Borealis HHS” is made from Columbus Spirit HSS Tubing, which is slightly over-sized, but still with a classic look and of course the performance only steel can offer. The comfort and performance of a steel frame is incomparable to other materials. Due to it’s extreme reactivity, modern steel absorb bumps and vibrations on the road without a problem. The power transmission with each pedal-stroke is top notch, as the steel frame offers extraordinary rigidity. The tapered headtube ensures front-end rigidity and precises steering. 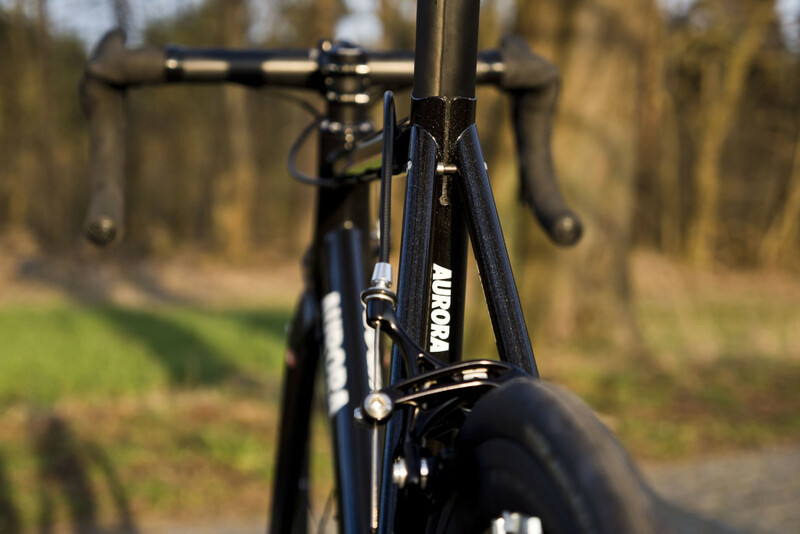 With our fork of choice, the super light Columbus Grammy full carbon fork, the overall weight of the frameset is reduced and results in a frameset which not only looks and handles great, it can easily stand a comparision with modern carbon framesets. 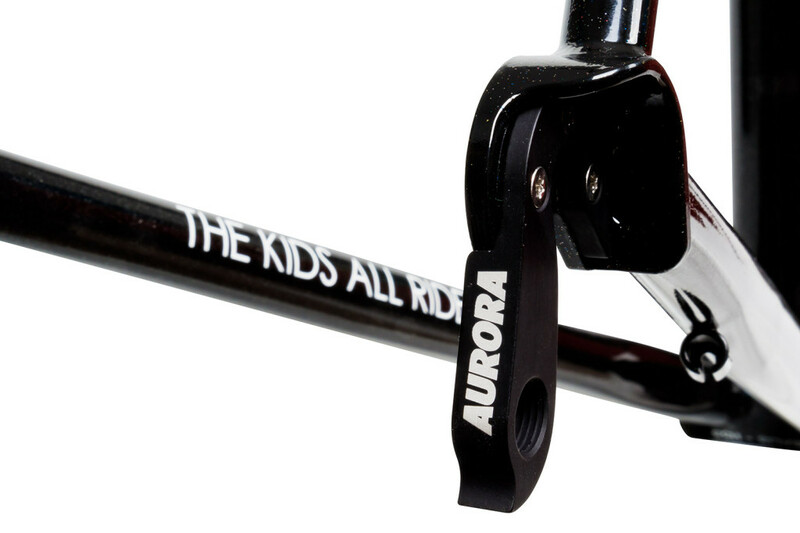 The Columbus Grammy fork also adds a lot to the comfort and improves the ride quality even more! 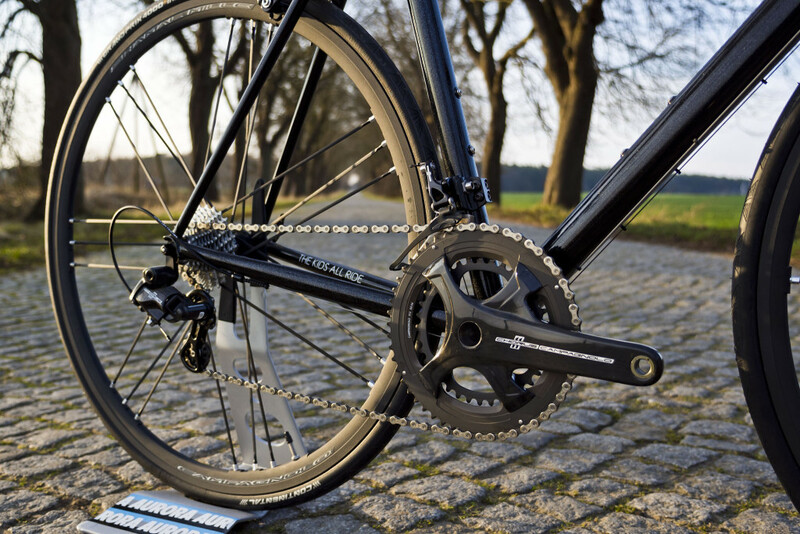 The compact geometry with steeper angles help to achieve a sharp and responsive feeling on the road. 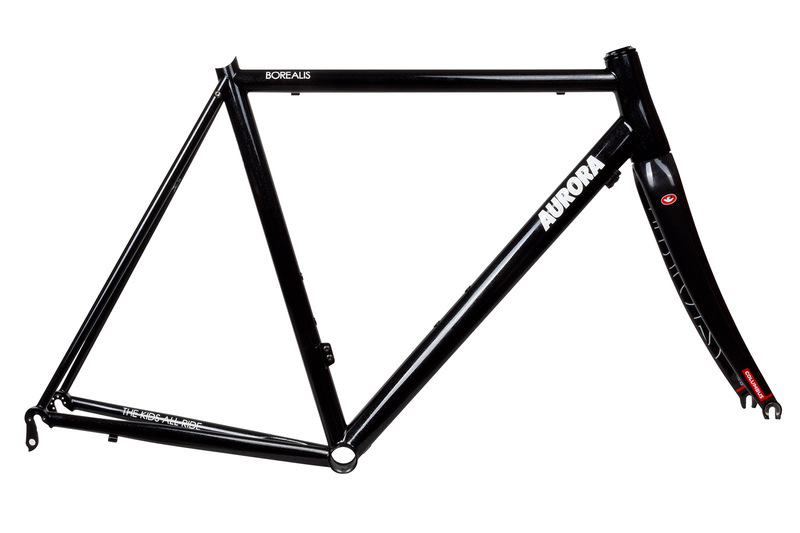 But not only the performance and comfort are outstanding with this steel frame, also the durability is. Don’t worry about losing it’s strenght or it’s characteristics as carbon or aluminium does after some years. It’s not a miracle that you see classic steel bikes rolling at the L’Eroica or other events that are more than 30 years old – it’s just steel and it will out last all other materials. 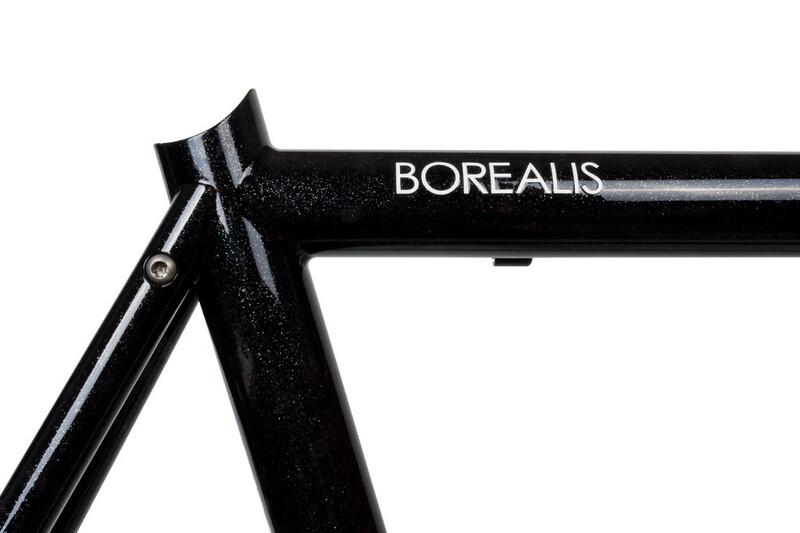 The AURORA “Borealis HSS” frameset is a luxury steel road frameset which is the perfect base to build up a high performance road bike. 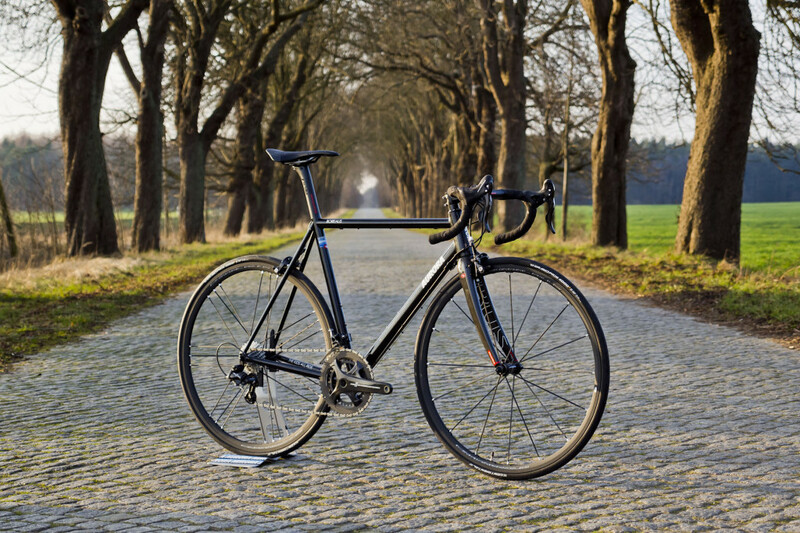 The frame is made by a Italian master framebuilder, who put’s in all his year-long experience from building frames for many big Italian names in cycling history. 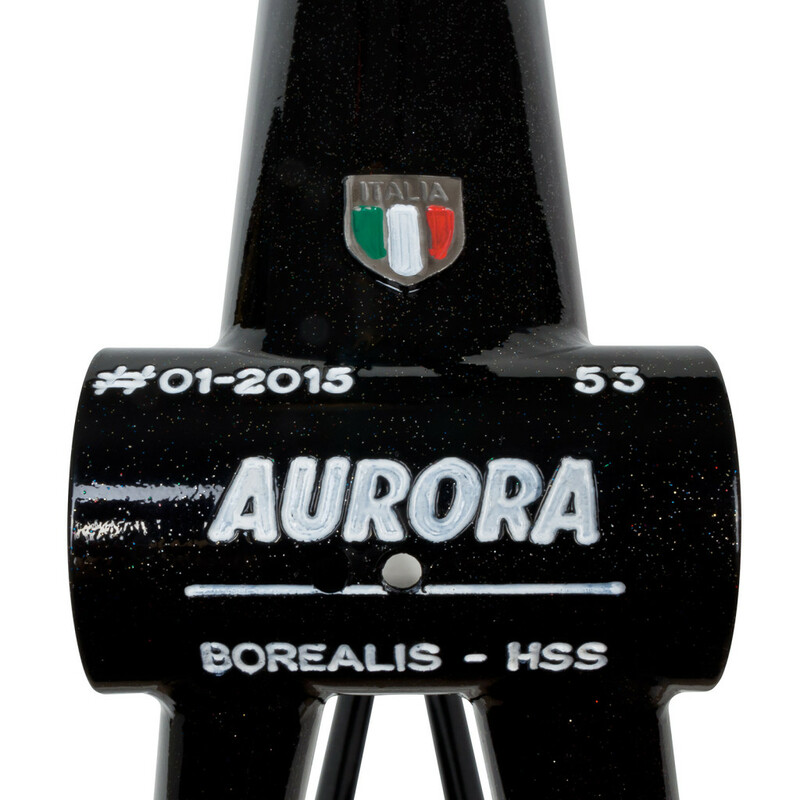 Every AURORA “Borealis HSS” is custom made to order, based on the buyers measurements and therefore individually numbered. The production is made with greatest attention to detail and takes around 4-5 weeks. – Frame weight: ca. 1700 gr. Prefectly build up with the recent Campagnolo Chorus Carbon 2015 gruppo, Deda Superleggero RS seatpost and Deda Superleggera stem and bar combination and topped off with a beautiful Shamal Mille 2015 wheelset and a sleek San Marco Concor Carbon FX saddle. The complete bike as shown at the Berliner Fahrrad Schau and on the following pictures just weights in at 7,3 kg. And i’m not a weight weenie on this one. With a lighter wheelset, seatpost, stem/bar combination – it’s possible to easily get it below the 7 kg. 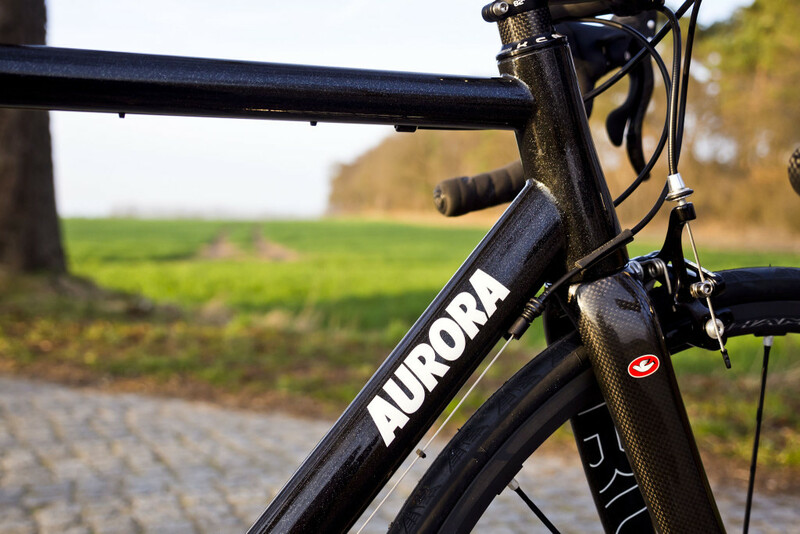 You can order your AURORA „Borealis HSS“ frameset in the webshop and discuss everything around it with us via eMail. I’m happy to answer all your questions and find the right frame for you.